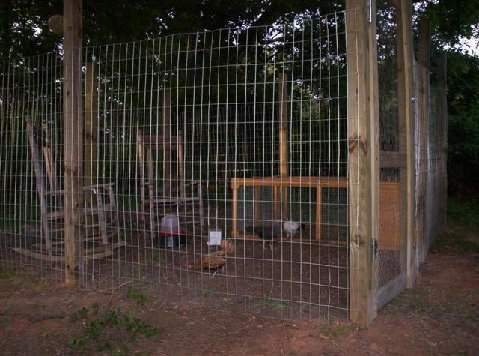 I have been searching the internet for the past several months for ideas of building a chicken coop in my backyard for my hens. I ended up buying 8-8 ft posts, some 6ft high field wire and some bird netting for the top. 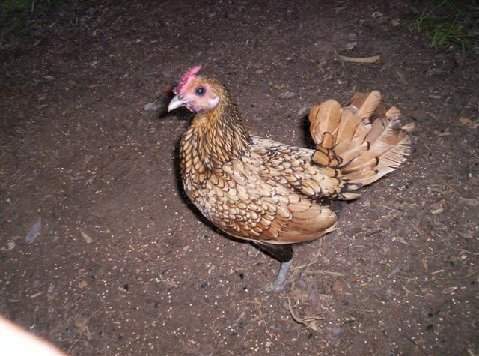 I already had their housing which consisted of a "Hen House" with a small run. I made the enclosure 12 foot by 12 foot and topped it with the 14 x 14 bird netting (only 8.00 Bird-X). I am currently altering the hen house by taking off the small enclosure that had been attached previously. The whole enclosure cost around 112.00 to build and turned out great. 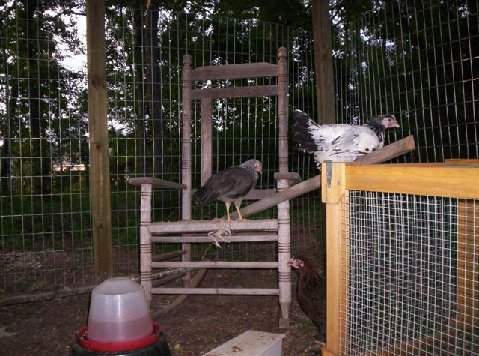 I put two old wooden rocking chairs in the enclosure for the hens and for me and they are very happy now! "Needs more details and pics"
do you have any pictures of what they sleep in? and is it predator proof? They look happy, well done. Hi there, I want to make something very similar. Did you sink the posts into the ground or put them via fence post holders? Thanks.